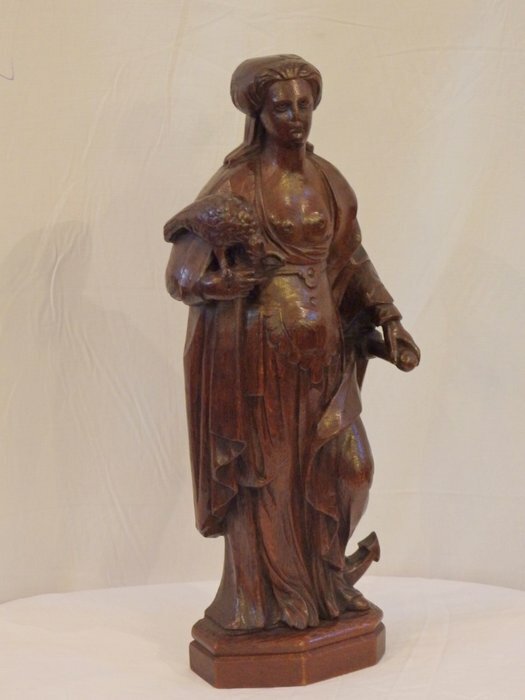 Continental carving of St. Philomena. 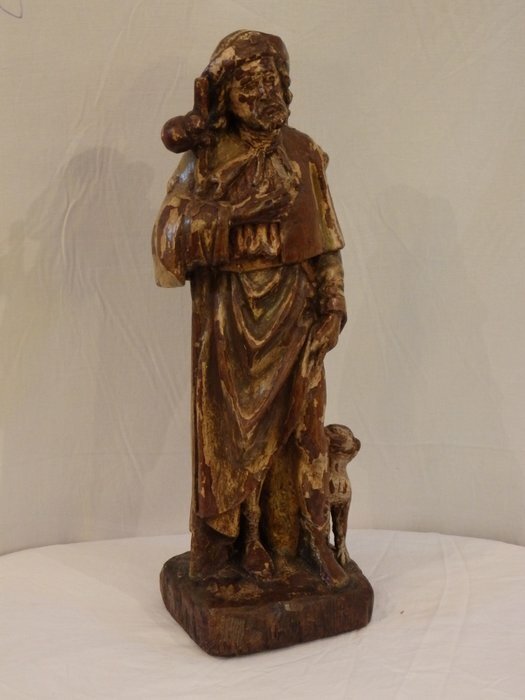 17th century carved figure of St. Roch (pilgrim). 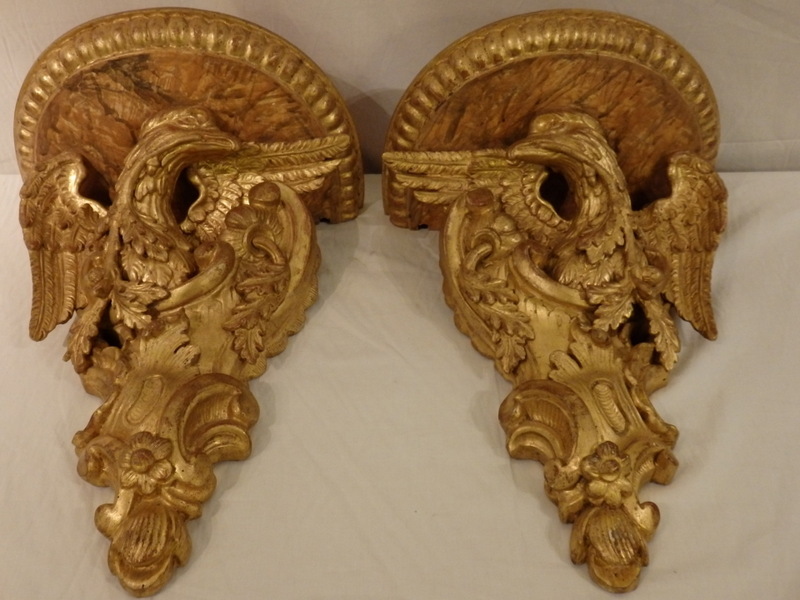 £995. 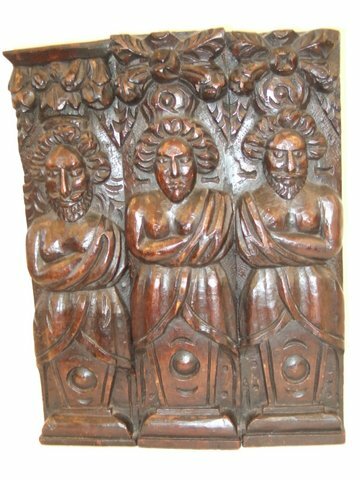 Three Oak Caryatids figures. James 1st period circa 1620. 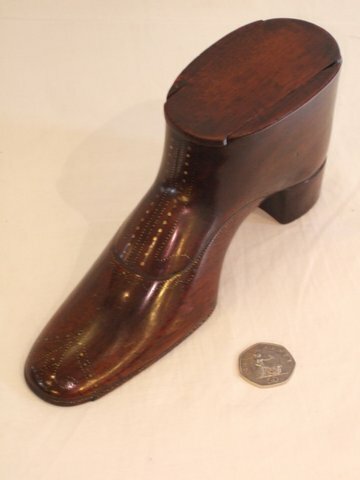 Large Mahogany Shoe Snuff box. Made for the White City exhibition by Henry John Perkins. circa 1875. Large Mahogany Shoe Snuff box. Made for the White City exhibition by Henry John Perkins. circa 1875 . 4″ tall. 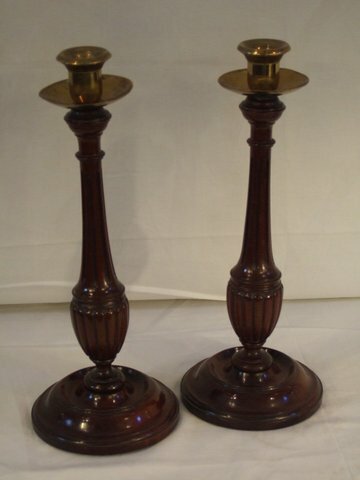 Pair of Edwardian mahogany candlesticks.